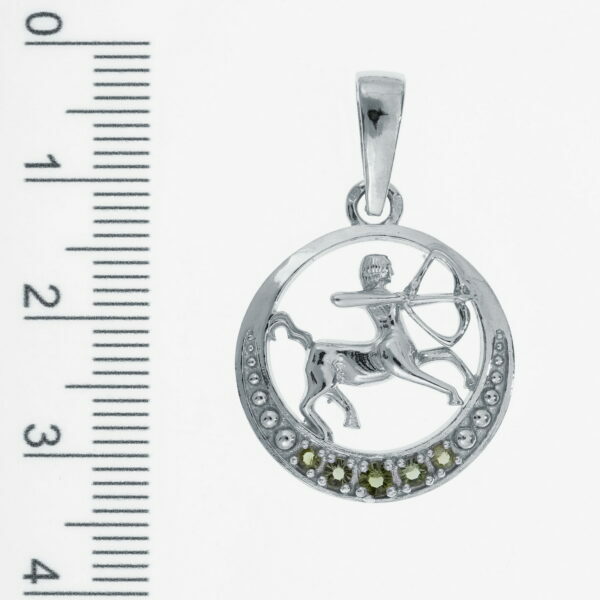 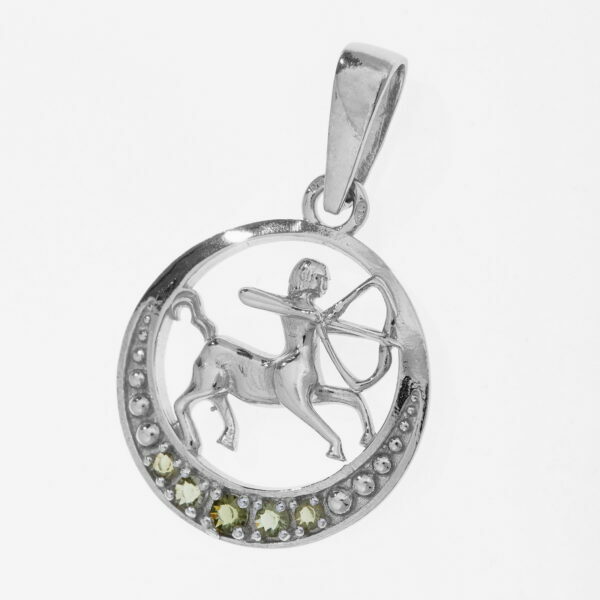 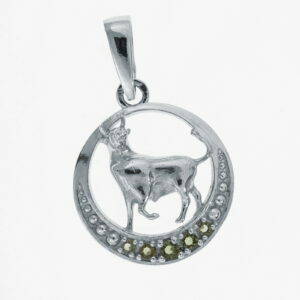 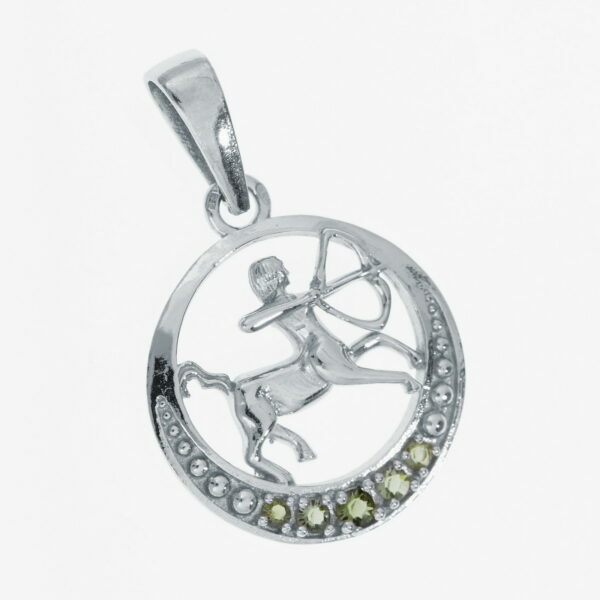 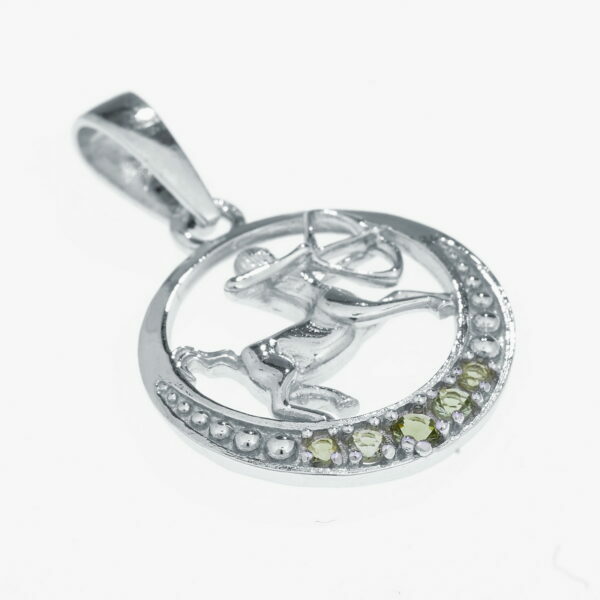 Silver pendant with a 3D figure of Sagittarius and 5 natural moldavites in brilliant cut. 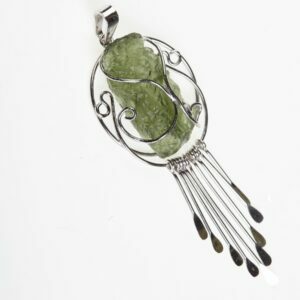 With the moldavites you have always a bit of cosmic energy with you as they were created 15 million years ago in a big meteorite impact and are also called the stone of transformation. 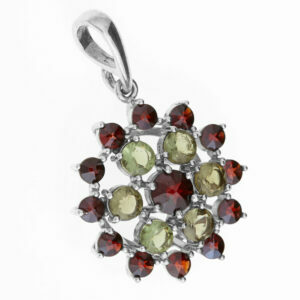 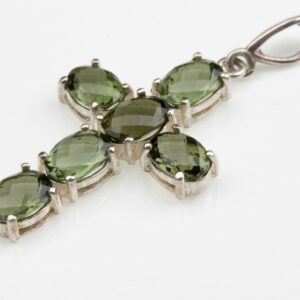 Original MOLDAVITE MUSEUM collection, made completely in Czech Republic by the local gem cutters and goldsmiths.